Will the Jews be Saved? Last weekend and this coming one, we’re thick in the middle of Paul’s core argument in his letter to the Romans, chapters 9-11. How is it that Messiah has come yet the People called to await him do not recognize him? Seldom do mainline Christians dare wade into this part of Paul. Only occasionally does the lectionary cycle of assigned readings stop for a visit in this central section of Romans. And, you’ve got to admit, it’s for good reason. With perhaps the obvious exception of the Passion narrative itself (where Pilate abdicates any blood on his own hands for Jesus’ death and imputes it to the crowd), Romans 9-11 has more blood on it than any passage in the New Testament. For nearly 2 millennia, minus a few centuries, Christians have- erroneously and sinfully- misread Paul in Romans 9-11, answering ‘Yes’ to Paul’s rhetorical question ‘Has God rejected People?’ which gave license for God’s adopted People to rejected his Elect People. Take it from personal experience, a single walk through the Holocaust Museum will- and should- give you pause before ever utter a single speculation about the Jews’ salvation. As Western Christians, we simply do not have the right to weigh in. 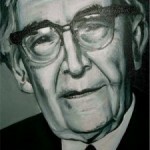 Because Romans 9-11 is so fraught with tragic interpretations, as I’m wont to do I’ve turned once again to Karl Barth. 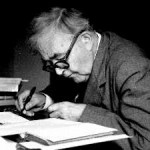 If for no other contribution, Barth is a historically significant theologian for rejecting Christian supercessionism (the idea that Christianity/Church transcends and replaces Judaism/Synagogue. 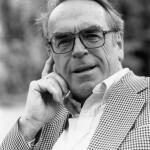 Barth’s rejection of such thinking emerged in no small part from his experience in Nazi German. 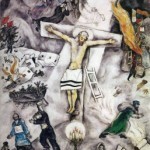 It also charted a path forward for post-holocaust theology. A promise from God (ie, the covenant) can’t be revoked. God can’t be unfaithful to himself. 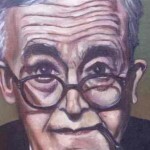 For Barth, the above added up to the impossibility of any mission to the Jews. They have their own inscrutable vocation and election within God’s eternal plan. March 4, 2014 §18.3~ Love of Neighbor = Idolatry? 2 responses to Will the Jews be Saved? My question is will Jews without faith in Christ be saved? I know that a Jew with faith in Christ will be saved, but when we say Israel will be saved does that include those who reject Christ but accept Torah and live the life of those faithful Jews who lived before the arrival of the Messiah? Growing up in a highly Jewish area with many close Jewish friends this is a question that troubles me deeply and has always sat at the forefront of my mind. I’m inclined to say that Paul’s point in Romans 9-11 is that yes, Jews can become members of God’s people through faith in Jesus Christ just like gentiles can (this being a response to Roman gentile Christians saying that Jews cannot be accepted into the Christian community because they are the people who rejected God’s Messiah). But maybe God does still accept a Jewish faith separate from Christ. I’m not sure, and I fully appreciate the unwillingness by many to wade into a debate on Jewish salvation after the 20th Century but sometimes this unwillingness leads to a lot of confusion in what our answer actually is.